A theme runs through the infographic below: aging baby boomers are still a force of nature. 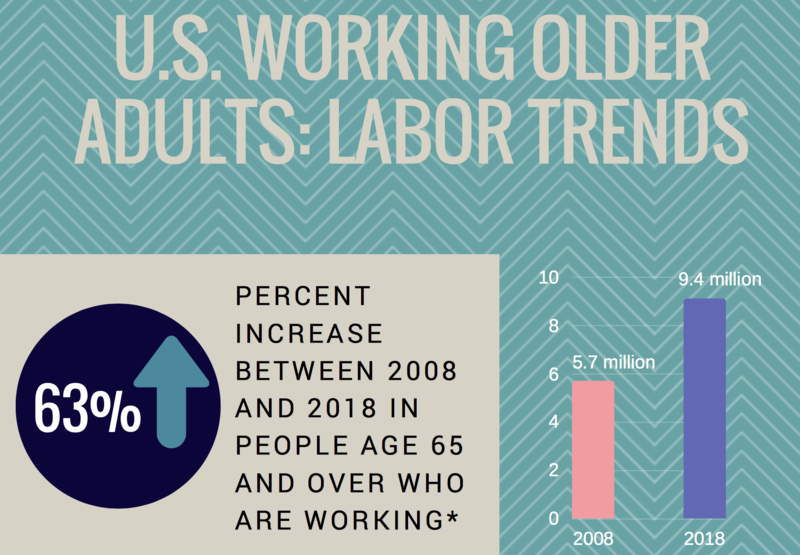 Created by Georgetown University’s Center for Retirement Initiatives, the infographic uses demographic data to show that boomers remain important to the labor market even as they grow older. More than 9 million people over 65 work – a steep 65 percent increase in just a decade. Two things primarily explain this increase. One reason is hardly surprising: the post-World War II baby boom that created the largest generation in history also created the largest living adult population (though Millennials will soon catch up). On top of this, baby boomers are working longer for myriad reasons – among them, better health, inadequate retirement savings, and more education – which drives up their participation in the labor force. To see boomers’ other impacts on work, click here for the entire infographic.